Scientists across Europe are joining forces to develop next-gen "chemical noses" that will detect and rid pollutants from the environment as part of a collaborative €2.9 million Horizon2020 FET-OPEN project (INITIO) that will bring together researchers from Trinity College Dublin and five other universities as well as experts from two SMEs. Dealing with pollutants in the environment is becoming an ever-increasing problem. One relatively unknown reason for this is that many pesticides or pharmaceutical drugs that enter the environment are "chiral", which means they exist in two non-superimposable forms (like left and right hands). This molecular quirk makes it difficult to identify and remove many of these pollutants, and it also influences their environmental impact – a left-hand may do more damage than a right-hand and vice versa and they may degrade differently. For example, Ibuprofen contains both forms, but only one is active. Chiral pollutants are found in pesticides, herbicides, fungicides, freon substitutes, dyes, polycyclic aromatic hydrocarbons, polychlorinated biphenyls, antibiotics and many other drugs. In most cases we have no idea about their environmental impact. The collaborating INITIO consortium will address this major issue by first engineering molecules that act as receptors – that recognise specific pollutants – and then integrate them with smart nanostructures to create devices that can be deployed directly in the field to detect and destroy the pollutants. These devices will essentially function as "chemical noses" by sniffing out the pollutants. Once they have been sniffed out and identified, they can be removed and/or destroyed. The Irish group, headed by Professor Mathias O. Senge, Chair of Organic Chemistry at Trinity, will build the molecules that act as the sensors in the chemical noses. They will use chemical methods recently developed at Trinity in which "porphyrins" (the pigments of life, responsible for the red color of blood and the green of plants) flag the presence of specific pollutants through changing color when they come into contact with them. Professor Senge said: "This is a truly exciting award for us as the FET-OPEN programme aims to establish European leadership in the early exploration of future technologies. It combines our leading expertise in porphyrin chemistry with that of international collaborators to tackle a fundamental real-world problem which increases in severity every year. 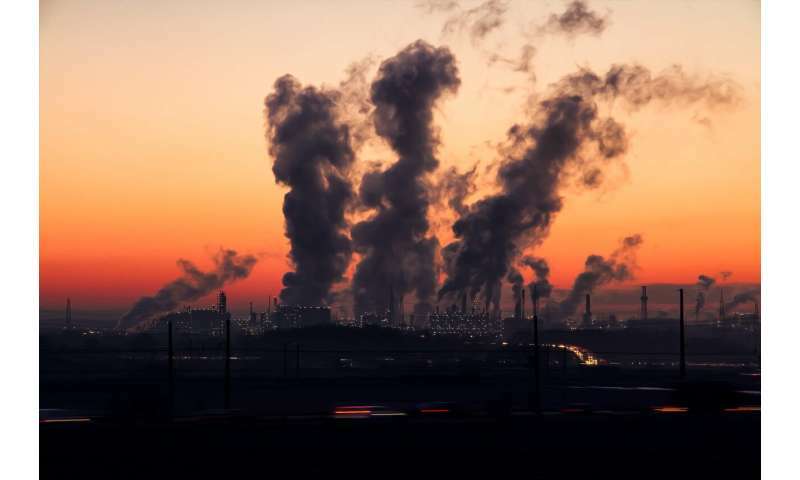 Environmental issues such as global warming are on everybody's radar, but the increasing danger from chiral pharmaceutical and agrochemical pollutants is often overlooked. We can now translate our basic research on porphyrins of the past 15 years into a field-capable technology which can have an impact in every day life. It is also an excellent example how crucially important national fundamental science funding is. Our basic research has been generously funded by Science Foundation Ireland (SFI) since moving to Ireland in 2005, only this enabled us for transformative international collaborative programs such as INITIO targeting tangible practical applications." What do we know about the impact of pollution on health?